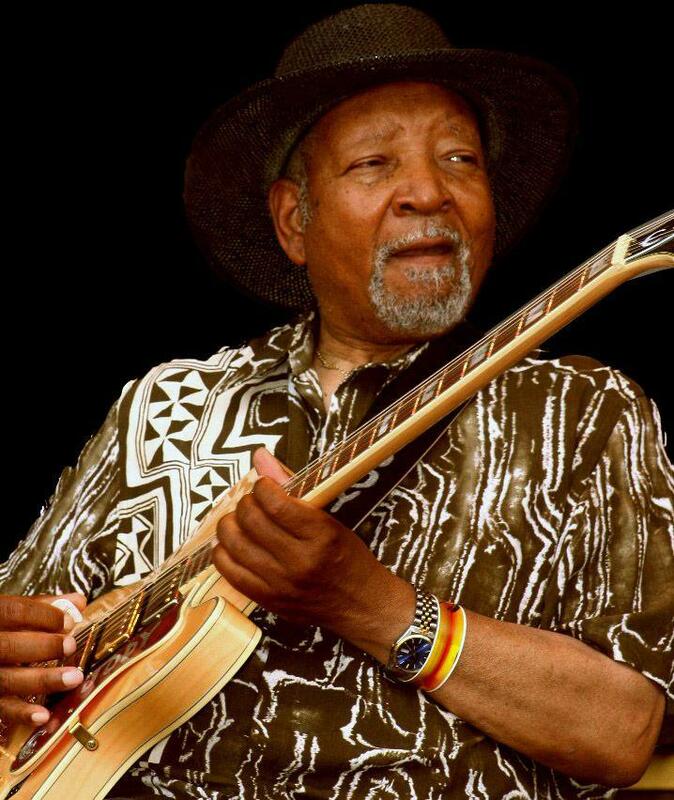 Famed Chicago blues guitarist/vocalist and Blues Hall Of Fame member Jody Williams, who recorded with legends including Howlin’ Wolf, Otis Spann and his childhood friend Bo Diddley, as well as under his own name, died of cancer at the Munster Med Inn in Munster, Indiana on December 1, 2018. He lived in nearby St. John, Indiana. Joseph Leon (Jody) Williams was born in Mobile, Alabama on February 3, 1935 and moved to Chicago around age five. After he began exploring music on harmonica and jaw harp, he met Ellas McDaniel (the future Bo Diddley) at a talent show. Bo taught him an open guitar tuning and they began working the streets together in 1951. Williams began playing clubs at age 17 and went on to record under his own name (including his influential instrumental anthem Lucky Lou). Williams was the first Chicago blues guitarist to master B.B. King’s string-bending-based approach and influenced the young modernists of the day such as Otis Rush and Buddy Guy. He served for years as the house guitarist at Chess Records and backed a varied list of artists including Jimmy Witherspoon, Floyd Dixon, Dale Hawkins and Bobby Charles. He played on Buddy Morrow’s big band version of Rib Joint, and dueled with B.B. King on an Otis Spann 45 for the Checker label. He also played on multiple rock ‘n’ roll package tours. In 1958 he was called to the army, serving his tour of duty in Germany. Returning to Chicago, Williams studied computers and engineering. He left the music business in the 1960s. Williams returned to public performance in 2000. Focusing on being a band leader and songwriter, Williams recorded two very well-received CDs of predominantly original material, 2002’s Return Of A Legend and 2004's You Left Me In the Dark, both for Evidence Records. The success of the CDs led him to play festivals all over the country in addition to dates overseas. He was inducted into the Blues Hall Of Fame in Memphis in 2013 and into the Chicago Blues Hall Of Fame in 2015.